Our Goal is to turn our Students into the best Drivers they can be, that includes improving Driver Safety, encouraging Professional ethics while Driving, following the Rules of the Road and Respecting others while they Commute. Our Special Lessons are Designed to Improve and Define Skills on the Student, through Rigorous Testing we Assemble a sense of Normality in terms of Vehicle Control and Safety Precautions in all our Students, all designed for their wellbeing in mind. 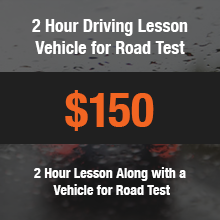 Our Instructors can help a first time Driver to stay away from Bad Driving Habits while Teaching him/her the proper technique for driving. When a new driver is Practicing with a Professional for a few hours every week, they receive the Required Hands-on Experience to drive safely in the future. Practice does make perfect, but unless you are Practicing the Correct things you might just become Perfect at Driving in the wrong way. 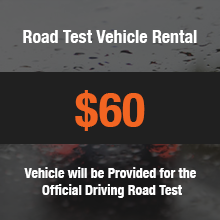 You Cannot rely on your Family to prepare you for Driving on the Roads. There are many things which you will need to learn including Passing Safety, Turn Signals, Lane Changing, Light Safety, Blind Spots, Mirrors, etc. These things can only be properly taught by a reputable Driving School like us. We have over 14 years of Experience in the Field, and we use every bit of it Ensuring it helps our Students the most. We Consider Ease of Access a Great Factor in Comfort and Assurance, that’s why we provide a Door to Door Service Designed to help people with busy schedules or unexpected events. We're always Just a Call Away. 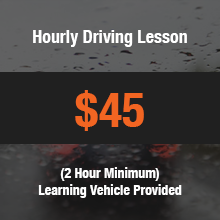 Our Lessons will Focus on Simple Distance, Stance, and Mechanics Required for Proper Parking, we do it Properly and make it easier for people who have trouble with Parallel Parking. 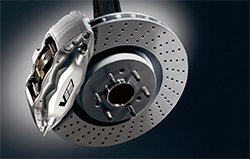 Ensuring that braking is properly optimized for our students and they know exactly how the mechanics work and how to properly react in special situations. Even though driving might seem like something you can only learn through practice, it is very important for you to have sufficient textbook information as well. Being distracted for even as little as a few seconds can result in serious accidents. It is a well known fact that most young adults today use their cell phones while driving. This is something which is extremely dangerous and definitely isn't something they would have learnt at a driving school. 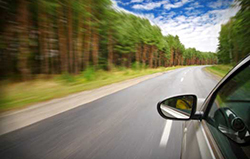 A driving school will straighten you out as far as the do's and don'ts of driving are concerned.